AgustaWestland's AW189 is continuing icing trials of its full icing protection system (Fips) this winter in Alaska. The super-medium twin will be eligible for flight into known icing when tests are completed. AgustaWestland will continue icing trials this winter in Alaska on the AW189 in pursuit of certification of the full icing protection system (Fips) on the AW189 super-medium twin. That helicopter received certification in 2014 and is currently available only with limited icing protection (Lips), similar to the icing protection system installed on the smaller AW139 medium twin. “It is also worth noting that AW189s used for offshore transport in the North Sea have logged a significant number of flying hours that provide further evidence of the capabilities, reliability and high availability of the AW189,” the spokesman said. However, the absence of full icing protection prevents Bristow from employing AW189s in the near term on that company’s UK government SAR contract. Bristow had planned to deploy up to 11 AW189s on that contract, but is now substituting Sikorsky S-92s as a stop-gap measure. Bristow does operate AW189s on commercial contracts in the North Sea successfully. UK SAR bases will bridge the gap with a combination of AW139s equipped with Fips and more S-92s as an interim measure. The AgustaWestland Fips allows flight into known icing conditions. The package includes ice detectors, automatic activation system with manual backup, electrical power generators, engine intake protection grids, and heated windshield and blades (main and tail rotor). 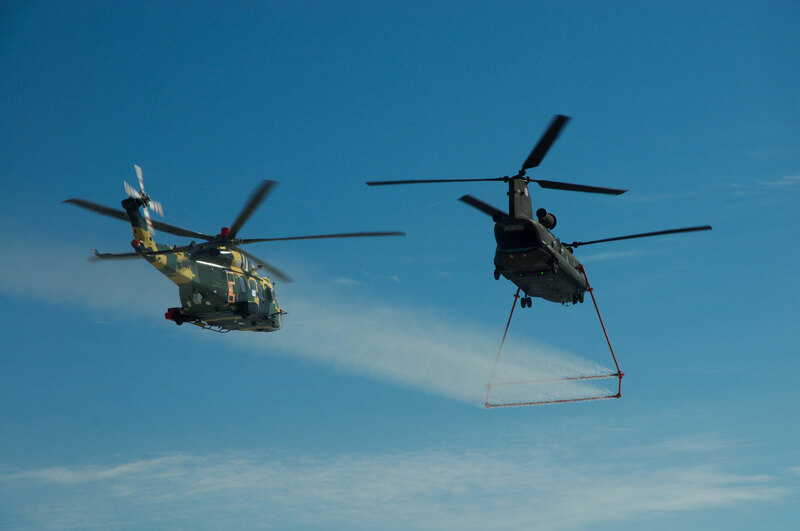 Helicopters equipped with Fips retain the performance and procedures for Category A operations and are not subject to any restrictions during IFR operations. Fips differs from Lips inasmuch as the latter permits flight within a known and defined envelope of icing conditions provided that the capability to descend into a known band of positive temperature is available throughout the intended route, typical of conditions encountered, for example, over the North Sea. Lips is intended for flight in limited icing conditions for operations such as offshore and passenger transport as well as search-and-rescue. The system is available as an option and includes ice detectors, supercooled large droplet marker, ice accretion meter and heated windshield. It does not require heated rotor blades and associated equipment, while the engine air intake heating system is already incorporated into the standard AW189. The AW189 equipped with Lips retains the performance and procedures for Category A operations and has only limited restrictions in terms of low temperature and ice presence during IFR operations.